Chomping on a cheesy bratwurst on the steps of the Vienna State Opera is as iconic a city experience as a night waltzing to Strauss himself. 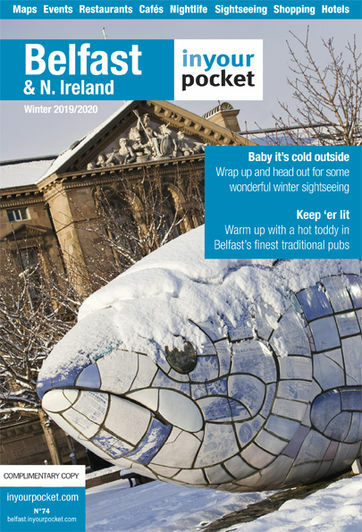 And that is what makes this awe-inspiring destination as delightfully surprising as it is diverse. You may be surrounded with the most dizzying array of grand buildings and glorious parks, but Austria’s capital wears its elegance with such ease that visitors immediately feel part of its story. And that effortless vibe extends to its super-efficient public transport, with subways and trams whizzing you seamlessly into the city centre from every part of town. Which leaves you free to find accommodation at any budget without compromising on the full Viennese experience. 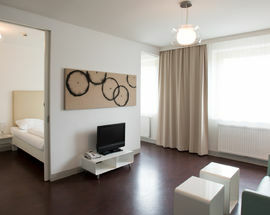 We opted for Stanys Aparthotel, a spacious, contemporary one bedroom apartment with kitchenette and balcony situated a short walk from Westbahnhof railway and subway station and just five stops (10mins) from the main city centre sites. Vienna's longest shopping street, Mariahilfer Straße, is on its doorstep, and a relaxing stroll leads you to stunning Schönbrunn Palace and Schönbrunn Zoo. With so much to see and experience, the vastness of this city is best embraced on a hop-on hop-off bus tour. Trips will take you to all the major landmarks, from Schönbrunn to the State Opera, Karlskirche to Danube Tower, Austria's tallest structure overlooking the eponymous river. In fact, Vienna is positively replete with a giddy array of lavish landmarks. Their existence is due in large parts to a spot of deft Habsburg dynasty marriages that secured their hold on central Europe, and placed Vienna at its core. Opulent churches, palaces and cathedrals await at every turn, with Belvedere another must-see on your Vienna wish list. This complex of buildings includes two baroque palaces and a Museum housing the world´s largest collection of Gustav Klimt paintings, including the Kiss. 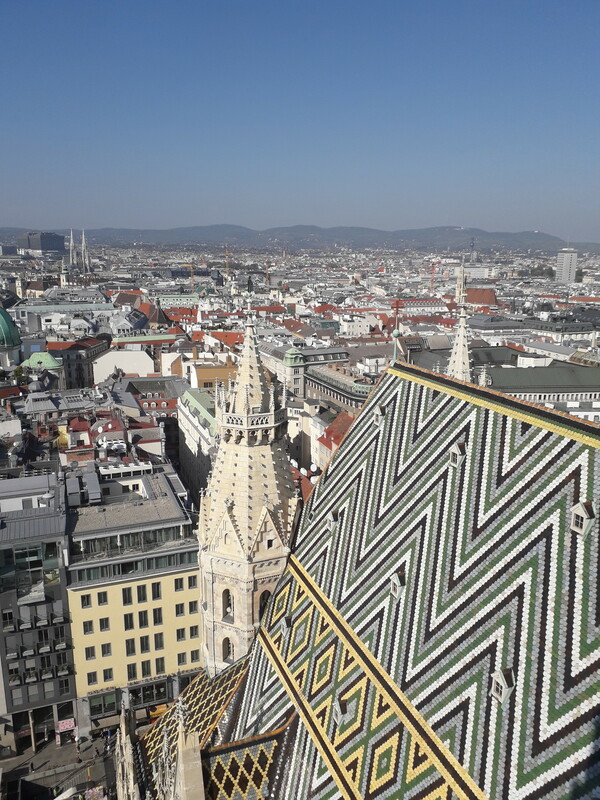 Wherever you are in the centre, you’ll fail to miss the unmistakable sight of the 12th Century gothic St. Stephen’s Cathedral whose roof is graced with almost a quarter of a million coloured tiles and huge Hapsburg and Viennese Coats of Arms. Entrance is free but, for a nominal fee, you can climb the 343 steps of the south tower for exceptional views across the city and beyond. Back at ground level, and yet another church, 18th Century baroque Karlskirche or St. Charles’ Church lures visitors with its gleaming white façade, columns, pillars and dome with frescoed interior. 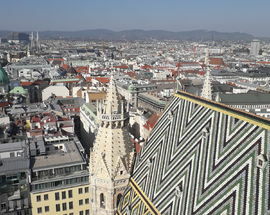 Those less fit among you will revel in the lift that spirits you to the dome for more of those panoramic Vienna vistas. Heading across the river is like arriving in a different world, with the historic in your wake and the lofty 1960s elegance of the 150m Danube Tower taking centre stage. This truly is the ‘top of Vienna’, and those views will leave you breathless as you gaze back towards the old town. 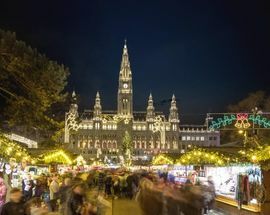 But you can never leave the past for too long, as the 19th Century Rathaus aka City Hall provides yet more epic Instagram moments, not least in Winter when it forms the fairytale-like backdrop for Vienna’s Christmas Dream Market. If one season screams Vienna, it has to be Winter. Not only because of its famous Christmas Market offerings but also, of course, those Viennese New Year’s Balls. The locals sure know how to throw an al fresco bash, too, with the old town transforming into one big New Year's Eve party zone from 2pm to 2am. Dubbed the New Year's Eve Trail, the 12 hour extravaganza incorporates food, drink, music and, naturally, those famous waltzes. And everything culminates in big fireworks display at City Hall Square on the stroke of midnight. It's like Strictly meets Cinderella turned up to eleven. Round off your Viennese whirl with a hangover cure of Wiener Schnitzel and apple strudel at one of the city's historic coffee houses. And don’t miss the open air live screening of the Vienna Philharmonic’s New Year’s Concert on the big screen in front of City Hall. 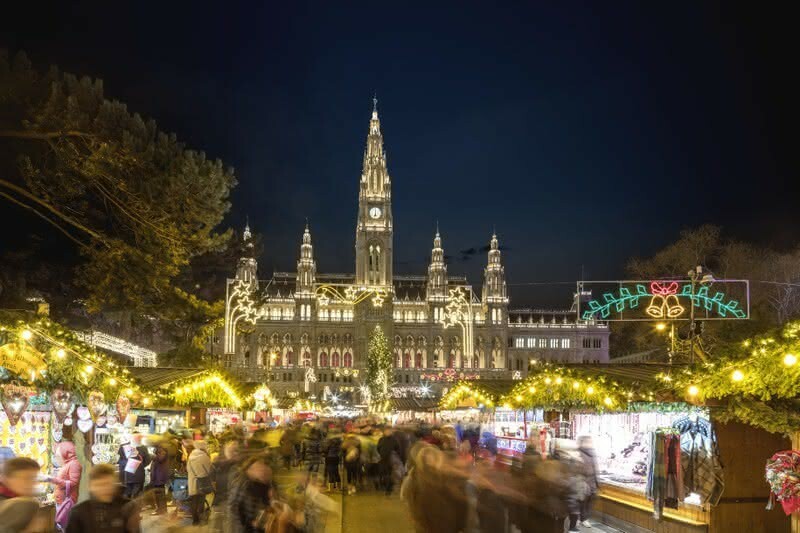 The music, the romance, the bratwurst, the seasonal escape… your Vienna city break will waltz its way into your heart and live long in the memory. For more info visit vienna.inyourpocket.com. Get inclusive discounts, bus tours and public transport with the Vienna City Card at www.viennacitycard.at. Book Stanys Aparthotel at www.stanys.at/en/.